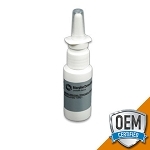 TSA Trace offers a full range of consumable supplies for the Rapiscan Itemiser DX. 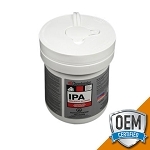 Proper operation of the Itemiser explosive trace detection machine relies on high-quality consumables such as isopropyl alcohol wipes, cotton gloves, canned air and Itemiser printer paper. As an authorized Rapiscan Systems distributor, all TSA Trace consumables are OEM quality and designed to optimize trace detection results and lower overall ETD machine cost of ownership. We recommend checking your screening station for consumable supply levels each week to ensure uninterrupted operation of explosive trace detection equipment. Itemiser dopants should be stored in the freezer to preserve usable life and once in the trace equipment, the negative dopant is designed for up to twelve (12) months of use while the positive dopant is designed of up to six (6) months of use. 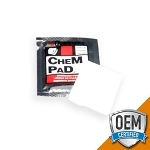 Pre-saturated isopropyl alcohol cleansers for ETD equipment maintenance and cleaning are available in individual wipes, 100 count tubs or swabs for hard to reach areas. 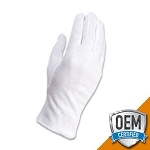 Our cotton gloves are designed to help minimize the possibility of cross-contamination of the Itemiser DX, helping to eliminate false positive alarms. 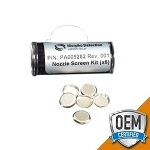 We also offer OEM canned air which is specially formulated for better results and equipment function as opposed to less-pure canned air product available from office supply stores. 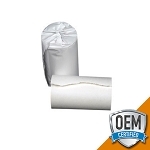 Additional ETD consumable options include thermal printer paper for results and diagnostic printing, replacement 5 micron filters used to remove moisture and contaminants from the air lines and nozzle screen kits which protect most unwanted dust and dirt particles from entering the detection of the Itemiser DX. 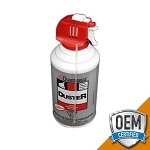 ETD consumables should always be used as outlined in the Itemiser DX Maintenance Manual. TSA Trace consumables are the only BPA TSA approved ETD supplies for explosive and narcotic detection in airports and certified cargo screening facilities. For over 15 years, ETD technology has been a critical tool in our country’s ability to stay ahead of evolving threats to national security. ETD technology, including the Rapiscan Itemiser DX, is used at security checkpoints around the country to screen baggage and passengers for trace particles of bomb, explosive or drug residue . 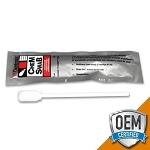 The ETD Itemiser equipment used by the TSA to analyze hand swabs are capable of detecting explosive residues as tiny as a nanogram (billionth of a gram). Trace Detection is a highly effective, proven technology and remains a key area of focus for airport screening.